For club, intermediate and advanced players. This course is composed by GM Panchenko. Its aim is to teach the students the intricacies of the endgame through a theoretic section, which includes over 700 games/lectures, each of them illustrating theoretical and practical endgame methods. 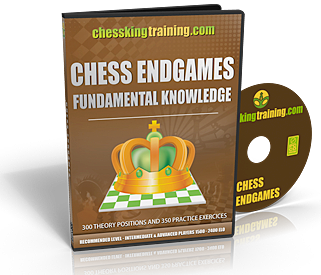 The training section has more than 300 practical endgame exercises, covering every type of endgame a tournament chess player should know, from endgames with few pieces to complicated pawn endgames, etc. Knowing how to play chess endgames well will give you a big edge in tournaments. You get plenty of feedback and opportunity to track your progress. Critical knowledge to increase your understanding of chess endgames. You can choose the number of positions in the tests, as well as the material covered. Studying chess endgames will give you many positive results in practical play. Just released. In stock. Ships from Miami, Florida, USA within 48 hours of receipt of order.